Supplemental Security Income (SSI) is a program for citizens of limited financial means who are disabled. The program is administered by the United States Government, and pays a monthly benefit to eligible persons. If you have a disability and meet the eligibility criteria for any other state or governmental welfare program, contact Angotti & Straface Attorneys at Law L.C. in Morgantown, WV. You may be eligible to receive a regular cash payment to help alleviate your financial expenses. 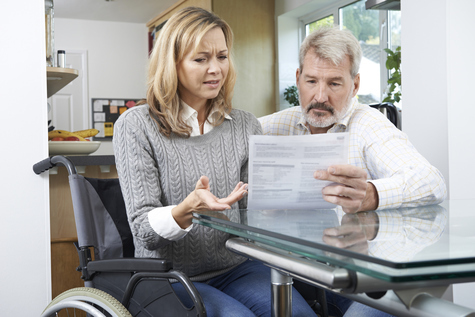 Disabled individuals should apply for benefits as soon as possible. The SSI application process typically involves a large amount of paperwork, medical documentation, and a long waiting period, when individuals apply for assistance without legal representation. Our attorneys are dedicated to serving disabled residents living in Monongalia County to claim the SSI income that they are eligible to receive. If you have already applied for SSI, and been denied, the time period to file your appeal is limited. Do not wait. Contact us immediately. Our law firm does not charge a fee for representing you in your Supplemental Security Claim unless we secure benefits on your behalf. Angotti & Straface has years of experience assisting clients with navigating the complex rules and procedures related to applying for SSI benefits. Our attorneys will assist you with collecting medical records, employment, financial, and other information to build the strongest possible case which will increase your chance of approval during your initial application. If your case proceeds to the hearing phase, we will meet with you to discuss your claim, answer your questions, and represent you throughout the conclusion of your case. Medical and healthcare experts, vocational specialists, and other personnel may be called in to testify regarding your appeal. If you have a medical condition that prevents you from maintaining substantial gainful activity or are unable to work as a result of a mental or physical impairment, you may be eligible for SSI benefits. Please note that the condition must be expected to last for at least 12 continuous months or result in your death. Contact Angotti & Straface to schedule a complimentary initial consultation at our Morgantown office to discuss your claim: (304) 292-4381.